Looks, power, speed, durability – the Apple laptop has it all. Combining cutting edge tech with Apple’s signature sleek design, these are the laptops to beat. Not just for the design studio, Apple laptops are ideal for the home, office and study. Whatever your needs and budget we have Apple laptop deals to match. 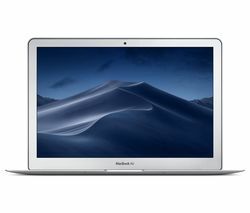 Choose from a range of sizes, memory capacities, technical specs and designs, from the ultra-portable 11.6” MacBook Air to the more substantial 15” MacBook Pro range. 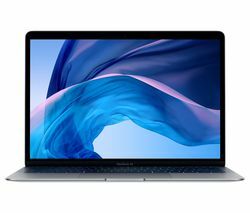 The entire Apple laptop range boasts superb battery power, some up to 12 hours, so you’re free to work without having to reach for the charger. Multitasking is made easy thanks to the patented Apple trackpad, as standard on all models, allowing you to swipe your way through websites, applications and more. Powered by the latest Intel® Core™ processors and Solid State hard drives, you can be sure of the fastest start-up times and lightning fast performance. 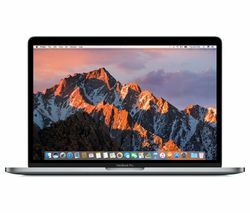 And there’s a host of built-in features that make using the Apple laptop range a joy, including integrated HD webcams and dynamically loud speakers. Whether it’s for work, design, study or leisure, an Apple laptop will more than meet your needs – and will exceed your expectations.